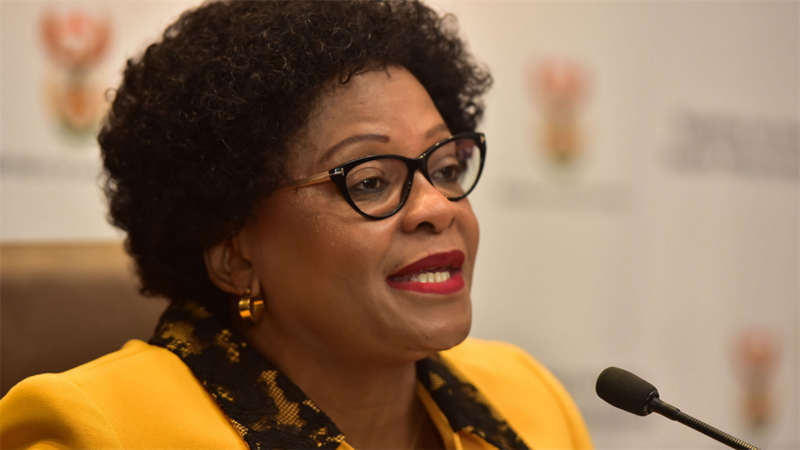 Minister of Environmental Affairs, Nomvula Mokonyane, wants to clear her name at the state capture commission inquiry and challenge damning allegations made against her by former Bosasa chief operations officer, Angelo Agrizzi. During his testimony before commission chairperson Deputy Chief Justice Raymond Zondo, Agrizzi levelled extensive allegations of corruption against several government officials – including Mokonyane. Agrizzi reiterated allegations on Thursday that the minister received R50 000 a month in cash from Bosasa. It was the second time he implicated Mokonyane. She held influence that the company could use to not only secure more contracts, but keep criminal prosecution at bay, Agrizzi testified. Agrizzi initially testified in January that Mokonyane received gifts, including meat and alcohol for family functions. He also alleged that Mokonyane received cash payments and maintenance at her home, including a garden service, repairs to electric fencing and new camera systems. Agrizzi said he was present on one occasion when Mokonyane was handed cash in a grey security bag while she was Gauteng premier, between May 2009 and May 2014. "I remember clearly, it was in her study," he said. "As you walk in the front door, to the right. There was a whole lot of memorabilia on the wall." Bosasa sponsored ANC lekgotlas, private funerals for family members, and massive Siyanqoba rallies for the ruling party at Mokonyane's request, the commission heard. Agrizzi confirmed key details of a GroundUp report published on March 13, 2019, that revealed Mokonyane might have a severe conflict of interest as she would preside over the appeal process for a massive Eastern Cape wind farm project linked to Bosasa CEO Watson's brother, Ronnie Watson, and his family. Mokonyane's spokesperson Mlimandlela Ndamase said the minister was notified on Wednesday that there were allegations against her in Agrizzi's testimony whhich implicated her in unlawful, illegal or improper conduct. "The commission's Rule 3.3 states that 'upon receipt' of a notice and statement from the commission implicating one, the implicated party has 14 days from the date of the notice to file an application to testify, cross-examine a witness and or call witnesses. The minister was never issued with such a notice at the instance of Agrizzi's initial testimony. "A formal complaint in this regard was filed with the chair of the commission, particularly on procedural fairness, potential prejudice and appropriateness of the decision of the commission not to comply with its own rules and regulations in this regard. The chair of the commission has undertaken to rule on this fundamental matter of legal principle in due course," said Ndamase. Mokonyane added that: "Having now formally received a notice from the commission and the aspects of the statements of Agrizzi that make allegations against me, it is my intention to exercise my rights to testify, cross-examine and call witnesses before the commission." She says the allegations are of a "serious nature, self-contradictory in many respects and are designed to cast aspersions of impropriety against me in my personal and official capacities". She maintained that the allegations were untrue and said this would become evident once she exercises her rights before the commission. It is her intention to respect the commission and to refrain from running parallel public commentary on its proceedings via the media.